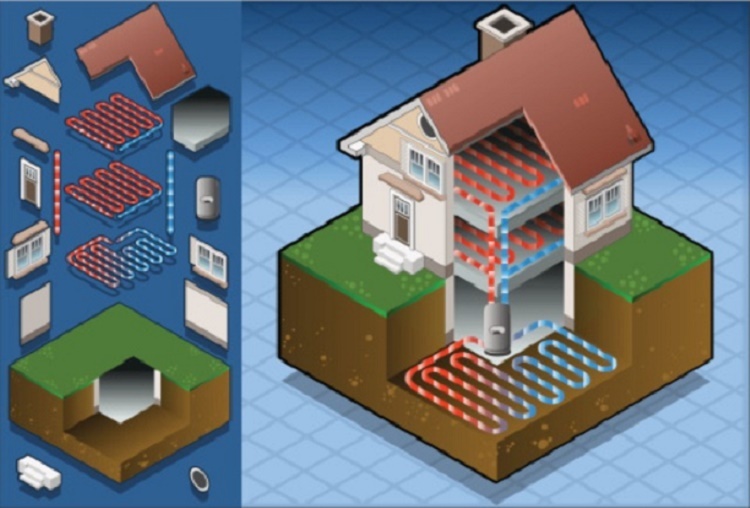 How Does Geothermal Heating and Cooling Work? Have you wondered if geothermal heating and cooling would be a good option for your Largo-area home? This clean, efficient form of energy is now the fastest-growing renewable source in the U.S. and inevitably prompts a number of questions. Most people are familiar with heat pumps that extract latent heat from the air and utilize it to warm a home. A geothermal heat pump utilizes a heat source that’s even more consistent and reliable than outdoor air — the earth. While air temperatures vary widely, the temperature just a few feet underground stays around 50-55 degrees year-round. This free heat is harvested for heating in winter. During summer, the ground serves as a heat sink to disperse heat absorbed inside the house. In most residential installations, for every unit of energy consumed -— the nominal amount of electricity to run circulation pumps, a compressor, and blower—a geothermal system extracts four units of heat. This efficiency exceeds any conventional gas-fired or electric system and, according to EPA estimates, delivers annual savings of about 40 percent on utility costs. A geothermal system utilizes a system of loops (earth loop) buried on your property that circulates a heat-absorbing liquid much like anti-freeze. This fluid absorbs latent heat energy in the ground, which is transferred to a refrigerant, then concentrated by a compressor. A heat exchanger installed in the air handler disperses the heat into your ductwork. In summer, the process reverses. Heat is absorbed from inside the house, then transferred to the fluid in the tubing loops and dispersed into the ground. There are several installation options. In a horizontal installation, the tubing loops are buried in long narrow trenches about five feet deep. This is the least expensive arrangement but requires the most open space. A vertical installation installs the tubing loops in deep bores drilled straight into the ground. This method adapts geothermal to almost any property but imposes higher initial expense for drilling.